Recently, Greg asked, “how important is it to attend a retirement briefing or not?” He and his wife intend to travel the country for several years after leaving federal service. I developed my retirement planning website because I attended two agency sponsored retirement seminars and came back with more questions than answers. That being said, that doesn’t mean I didn’t benefit from our personnel office’s retirement counselor briefings. They provided valuable benefit information, introduced me to the retirement application process, and outlined available options. After attending a briefing research and use all available resources to ensure you make the right decisions when you complete your retirement application. Retirement briefings along with your personal research will help you get it right the first time. For information about specific retirement benefits search www.federalretirement.net and review our retirement planning article index to find guidance for just about any subject. Use other valuable sources such as OPM’s online retirement services and columnists like Tammy Flanagan who explains even the most complex issues in language that all can understand. Tammy’s recent article titled 13 things to Know About Your Annuity Option is an excellent example of how she drills down to the essential elements of an issue. 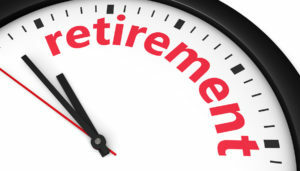 I receive numerous requests to provide one-on-one personal retirement planning counseling. Even though I manage a fulltime business including 10 internet properties, and just completed my 27th book, I make time to answer questions I receive from my site visitors and newsletter subscribers. There isn’t enough time in a day, especially when you add in family and our three beautiful grandchildren, for me to provide personal counselling services. Fortunately, there are options available for those needing one-on-one counseling and assistance. Request a comprehensive 27-page Federal Retirement Report™ for $79 that evaluates your retirement benefits including FEGLI options and TSP investments, retirement eligibility, and annuity projections. They include a 1-hour, one-on-one, personal consultation with their federal retirement specialist to review your Report with you. This service comes with a 100% money back guarantee if not completely satisfied. Retire Federal and Tammy Flanagan, their Principal Retirement Specialist, provide personalized federal employee retirement training and counselling on a fee for service basis. Tammy is a consummate professional that has worked in the federal retirement arena for many years and is well known for her expertise in this area. They also offer on-site retirement planning seminars. For those that would like to advance in their careers consider contacting CareerPro Global. Barbara Adams, the owner, has spent a lifetime working with federal employees to prepare a professional application package. Their services can dramatically improve your chances for promotions and thereby increasing your high-3 average pay that is used to calculate your retirement annuity. They also offer fee for service career counselling. Visit our career planning website for additional information. The more time and preparation that you devote to retirement planning the better off you will be when you finally walk out the door. Retirement planning can be compared to taking a journey. Greg and his wife plan to sell all of their belongings and travel the country when he retires. When you plan an extensive trip, you do your research; find the right motor home, select your destinations carefully, and project your income and expenses for the adventure. You don’t generally leave things to chance, you plan to make it a successful and safe journey. Retirement planning uses the same process. You explore your options making sure you leave nothing on the table, project your expenses against income in retirement and so much more. You make the right benefit elections so you don’t jeopardize you and your family’s well-being and you must take your time to do it right. If you don’t understand how a retirement benefit will affect you and your family reach out to your HR retirement specialist first, search our web site for answers and if necessary contact services such as those mentioned above to find the answer before making the election. A successful and financially secure retirement depends on making the right decisions to protect you and your family. Unfortunately, you can’t change many of your benefit elections after your retirement application is processed by OPM.